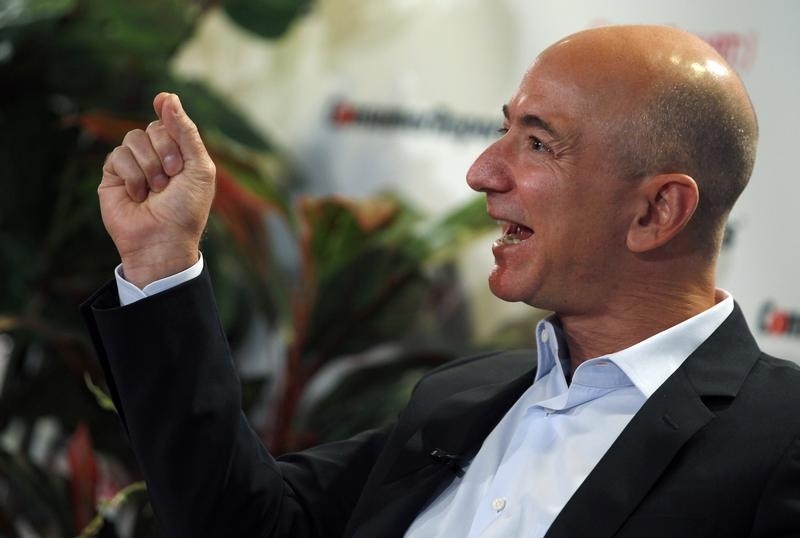 Amazon may eventually face its Xerox moment. The online retailer is growing rapidly, while the aging technology icon has faded fast. Both companies, though, pair businesses that don’t really belong together. Activist investor Carl Icahn just persuaded Xerox to split off its more promising assets, according to the Wall Street Journal. If he’s still around, a similar move might someday make sense for Amazon. The retailer’s fourth-quarter results may have been disappointing compared with investors’ lofty expectations, but they were nonetheless typically Amazonian. Revenue grew 22 percent to $35.7 billion. Margins were relatively feeble, as Jeff Bezos’ company prioritized growth over profitability in its retail operations. Earnings were $482 million, for a net margin of just over 1 percent. Amazon’s web-services business, which provides on-demand computing for companies like Netflix, remains a gem. It grew almost 70 percent year-on-year to $2.4 billion of sales in the quarter. Its operating margins, as calculated by Amazon, rose to more than 28 percent. Yet investors wiped nearly $40 billion off the company’s market cap following the earnings news. Even so, Amazon’s value remains high: more than $250 billion and nearly 100 times estimated 2016 earnings. Xerox was itself a high flyer some four decades ago. Its stock even belonged to the so-called “nifty 50” that brokers advised clients to buy regardless of price. Dwindling fortunes over the ensuing years prompted the copier manufacturer to buy Affiliated Computer Services in 2009, but the deal failed to slow the company’s slide. Under pressure from Icahn, Xerox has now decided to split in two. The move should give its consulting business a fighting chance while the imploding hardware unit is allowed to fend for itself. Amazon’s growth – and the fact that its stock price is 10 times higher than it was a decade ago – means Bezos still has plenty of leeway to run the company as he sees fit. That freedom allowed him to create and nurture Amazon’s thriving web-services business. Of course, things may look a lot different in another decade or so. If investors get tired of Bezos’ quest for growth at the expense of profit, it may be time for Icahn – or someone of his ilk – to make a move. Amazon on Jan. 28 reported $35.7 billion of sales for the fourth quarter of 2015, an increase of 22 percent from the same period a year earlier. The company said it earned $482 million in the quarter, or $1 per share. Amazon expects net sales to grow between 17 percent and 28 percent in the first quarter of 2016 from the same period last year. Xerox, meanwhile, will split into one company housing its hardware unit and another containing its services business, according to the Wall Street Journal. Activist investor Carl Icahn will receive three seats on the board of the services company, according to the report.